"What happens when we slow down and pay attention? Everything! Innumberable delights are right at hand. Thank every one of the ten thousand things: gratitude turns our world right-side-up." 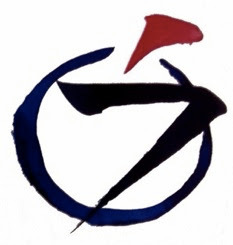 Saturday Zen Service: 10:00 - 11:45 -- CANCELED ON MAY 10 and 17. Mon May 12. Charlotte Joko Beck, Nothing Special. Ch. 18, "Experiences and Experiencing." Tue May 13. Koan of the Week. "Luzu Faces the Wall," Book of Serenity #23. Wed May 14. Shunryu Suzuki, Zen Mind, Beginner's Mind. Ch. 20, "To Polish a Tile." Thu May 15. Thich Nhat Hanh, The Heart of Buddha's Teaching. Ch. 19, "The Three Doors of Liberation." Fri May 16. 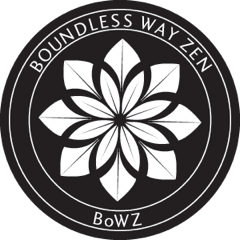 Taizan Maezumi & Bernie Glassman, On Zen Practice: Body, Breath & Mind. Ch. 9, "The Practice of Effort."